St Chad’s has built up the largest public collection in the UK of materials by or concerning the work of the philosopher/theologian Bernard J. F. Lonergan, S.J. 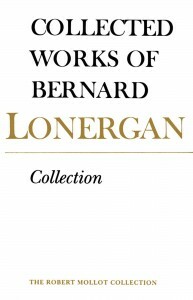 The collection, though still modest in scope, is more extensive than the Bodleian or Heythrop (University of London) and includes most of Lonergan’s own writings, a variety of secondary literature on Lonergan, and a number of folios containing articles, talks and interviews otherwise unavailable in the U.K.
Due to the value of the collection, access is somewhat restricted. Students and scholars are invited to email the Principal to request access or to borrow a particular book. Students of Lonergan’s work who wish to work with the collection for an extended period of time may wish to book a room in College. The College also has a sabbatical programme for visiting Professors. For information about sabbatical room-availability, contact the Principal.